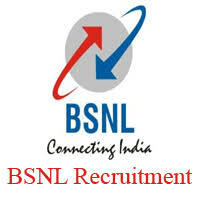 Upcoming | BSNL Recruitment 2018 | 9145 Junior Engineer Posts | 12th Pass: Bharat Sanchar Nigam Limited (abbreviated BSNL) is an Indian state-owned telecommunications company headquartered in New Delhi. As, it publish various job notification in BSNL Department in various location, Overall all in India, recruitment for hiring eligible candidates for the Post of JA, JTO & LICE. More information please read below mention Official notification carefully. Salary : Rs. 9,020/- to Rs. 17,430/-. Applicant will be selected on the based of online competitive examination.